…brought to you by the letter, ‘P’. 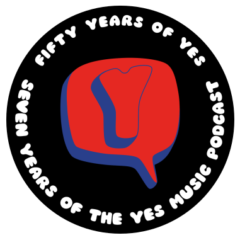 The one hundred and fifteenth episode of the Yes Music Podcast, featuring some interesting concepts and tracks beginning with the letter ‘P’. Are there any’P’ band members? What concepts begin with ‘P’? How many ‘P’ tracks are there? Listen and see if you can spot anything I have missed out, then let me know by contacting me via any of the methods below. Another great episode, Kevin–thanks! I believe “Picasso” was part of the aborted Paris sessions, hence it’s unfinished nature. There is a scene in the “Yes Years” video where Jon, Trevor, and Alan appear to be sitting in a commissary discussing the Paris sessions. Alan refers to the song, and Jon begins singing it! This little mini-version is actually better than the demo on Tormato! It wouldn’t be hard to be better! Not a classic. Yes I think you are correct about the Paris sessions. Now Mr. Baker has returned, I wonder what we are in for? I wonder as well…given those aborted sessions it makes him an interesting choice. If memory serves, I don’t think some of the members had kind words for him in the years following the sessions. It always seems, though, the members of the band are good at fence-mending. Baker did a good job with Jon’s “3 Ships,” so I am hopeful. Previous Previous post: Get involved with the Yes Music Podcast e-book!